Mr Chandrasenan is a Consultant Orthopaedic Surgeon at Chesterfield Royal Hospital NHS Foundation Trust. His specialist interests are in sports injuries performing arthroscopic and ligament reconstructive surgery of the knee as well as hip replacements and knee replacements. Other subspecialist interests are in the management of young adults with knee arthritis. Mr Chandrasenan is trained in all aspects of knee surgery having completed a knee fellowship at the prestigious Royal Derby Hospital. He has multiple publications in peer reviewed journals and has presented research both nationally and internationally. 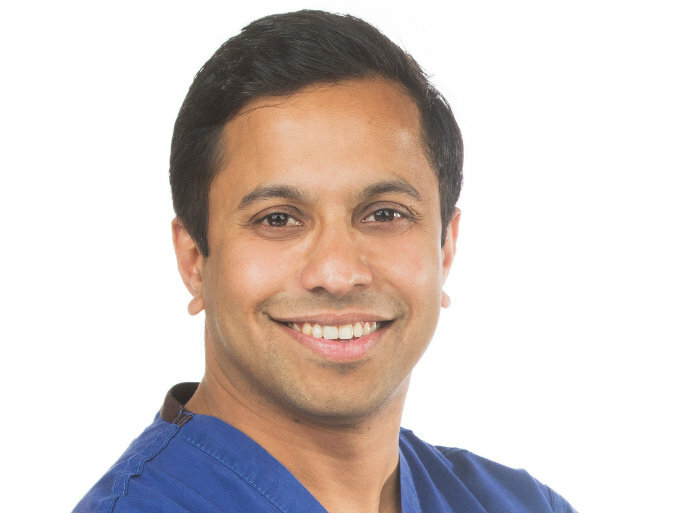 Mr Chandrasenan has a particular passion for education and is an educational supervisor for University of Sheffield medical students and trainee Orthopaedic Surgeons from the East Midlands Rotation. He is the organiser of the most popular course in the UK for Orthopaedic Surgeons preparing for their FRCS (Tr & Orth) examinations. Mr Chandrasenan sees and treats both NHS and private patients at the Nottingham NHS Treatment Centre. Mr Chandrasenan is married with two children and lives in Nottingham. Consultant Trauma, Hip, & Knee Surgeon at Chesterfield Royal Hospital NHS Foundation Trust. Multiple publications in peer reviewed journals. Mr Chandrasenen also supervises multiple research projects for trainee Orthopaedic Surgeons. He is a reviewed for The Bone & Joint Journal in the UK.